Have fun protecting your precious cookies from grumpy cookie banditos. Engage in kooky tactics to save your stash without being too rude! A quick clicker game, score based. Click with the mouse to knock back those little banditos trying to steal your cookies. Once a bandito is hit 3 times, they turn into cookies. The more cookies you have the more banditos will spawn. Three rounds available so far, each one lasts longer. Protect your cookies, become the ultimate cookie senpai. Whatever score you get, feel free to share it with me, I would love to hear people's feedback on it. Apologies for whatever bugs you might find, I'll make sure to work on them as they come. 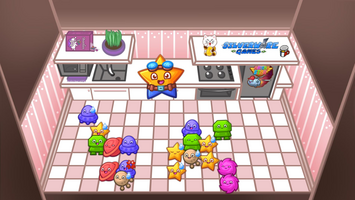 We worked about 34 hours on this and used unity, gimp, photosop, inkscape and visual studio to put this game together. This was my first Ludum Dare jam, and despite my permanent state of grumpy sass I actually had fun. 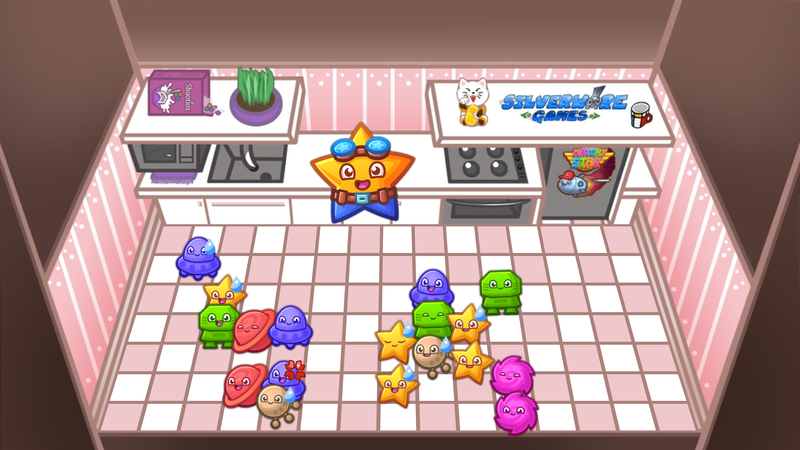 Matchy's Kooky Cookies is a game inspired in my original game Matchy Star which I'm still working on and hopefully get to publish next year! Pretty excited about it. And thank you, for checking our entry out. Hope you will enjoy it! Have fun protecting your precious cookies from grumpy cookie banditos.